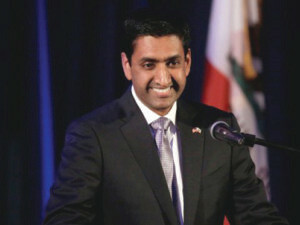 Indian-American lawmakers on Capitol Hill were largely unanimous on attending the inauguration of President Donald Trump. However, one of the five, all Democrats, broke ranks, drawing national attention when she declared she would not be on the mall because of the negative comments made by the incoming president about veteran civil right leader, Rep. John Lewis, D-Georgia. Trump had hit back at Lewis following the Georgia Congressman’s comments implying Trump was unfit to be President. Then President-elect Trump in his comments implied Lewis was an ineffective elected official who should priority to his crime-ridden district. It led to a mass exodus of Democrats from attending the inauguration. “Trump centered his campaign on “othering” and ostracizing others,” Jayapal asserted. “He singled out Muslims, women, African-Americans, immigrants and Americans with disabilities. There is no reason to believe that Trump will stop his campaign to divide now that he’s president,” she added. that she “definitely will be there,” MynewsLA reported. 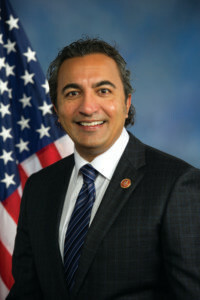 Rep. Ami Bera, D-California, made clear he would be at the inauguration “out of respect for the office and the peaceful transition of power,” KCRA reported. “I mean that is who we are as Americans,” Bera said. But he was also joining the protest march on Jan. 21.
n going, Chicago Tribune reported. He was scheduled to join the protest march the day after Trump’s inauguration.